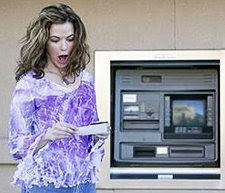 She sees a nasty overdraft fee. As expensive as a payday loan. But she never asked for one. The California loan has a maximum loan-to-value (LTV) of 95 percent and a maximum total combined loan-to-value (CLTV) of 102 percent to help cover the second and other costs. But you gotta qualify, big time. Deadline Newsroom - First-time home buyers should take a look at California Housing Finance Agency's (CalHFA) new home loan option, the Cal30, a fixed-rate, 30-year loan that will finance up to 95 percent of a home's purchase price. CalHFA, California state's affordable loan service for first-time homebuyers, says to use the Cal30 and other programs, homebuyers must meet certain income and sales prices guidelines. For a family of 4 or more in Silicon Valley, the income limit is $126,600 and the home being purchased -- new or resale -- must be $637,645 or less, but up to $779,344. This conventional first mortgage features a fixed interest rate, with predictable monthly payments and full amortization over a 30-year term. The loans has a maximum loan-to-value (LTV) of 95 percent and a maximum total combined loan-to-value (CLTV) of 102 percent. CLTV typically means a second loan is in the mix. Most conventional mortgages today will only finance 80 percent of the sale price while some other government loans like Federal Housing Administration (FHA) mortgages will finance more. For the Cal30, a first-time homebuyer is defined as someone who has not owned a home during the previous three years. Exempt from the first-timer requirement are qualified veterans and those who buy in a federally designated "Targeted Area." Targeted areas are those where 70 percent of the families who live there earn an income that is 80 percent or less than the statewide median income.  The home must be owner-occupied, rather than a business investment, say, a rental.  You must be a U.S. citizen.  You must not own additional property, including a rental or second home.  You must use one of CalFHA's approved lenders.  You must attend homebuyer counseling from Fannie Mae, Freddie Mac, Genworth Financial or a HUD-approved counselor. The California Homebuyer's Downpayment Assistance Program. It provides loans of up to three percent of a home's value to assist with down payments and closing costs. The Affordable Housing Partnership Program is a joint effort between CalHFA and over 300 cities, counties, redevelopment agencies, housing authorities and nonprofit housing organizations to assist with down payments and closing costs.  SMART Loan Program for select CalHFA-owned properties. The program offers a special reduced interest rate and up to 100 percent LTV financing.  CalHFA Community Stabilization Home Loan Program helps first-time homebuyers purchase vacant homes that are owned by participating financial institutions in certain areas of California.  Temporarily suspended, as of July 7, due to state budget shortfalls, is CalHFA's School Facility Fee Down Payment Assistance Program. When available, that program provides conditional grants to buyers of newly constructed homes for down payments, closing costs, upgrades, or other costs associated with the first mortgage.